Since it’s been so succesful on her, I thought I might try the Italian diet for myself with a visit to one of London’s favourite Italian restaurants: Bocca di Luppo. Yes, getting a table is difficult. That’s the problem with good food: it attracks the crowds. Along with the table came a basket of Italian breads and a few olives to nibble on. Carb paradise I hear you say? 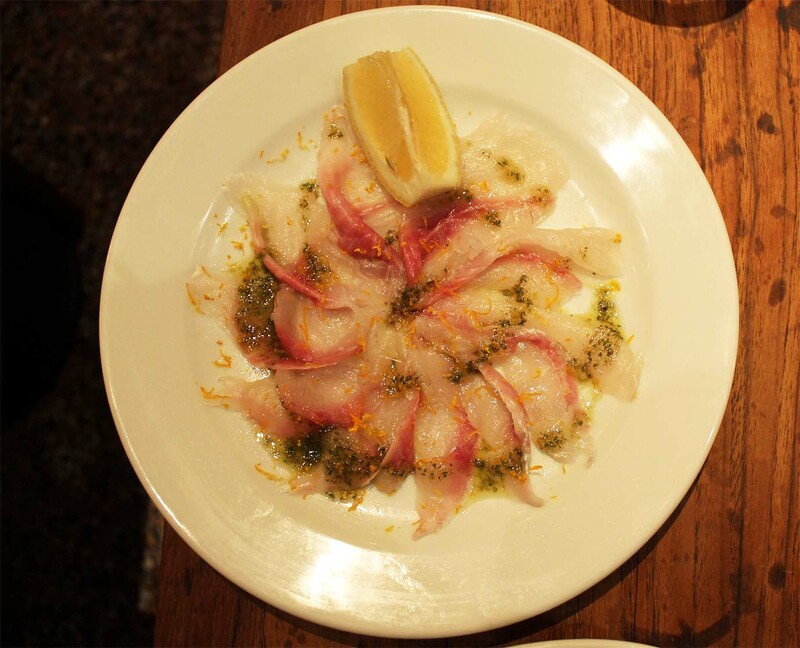 The Sea bream carpaccio with orange and rosemary was truly magnificent and most probably my favourite dish that night. 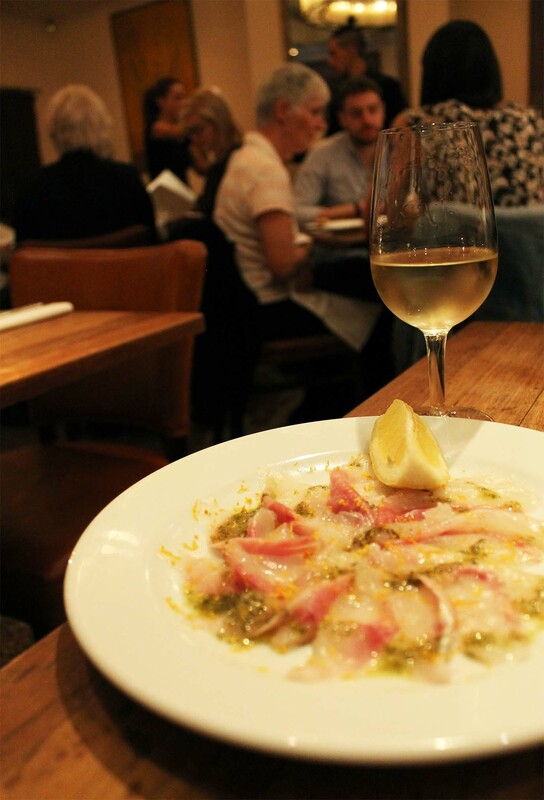 I mean, raw fish, citrus and pesto all in one dish? It’s like they didn’t even give me a chance not to fall in love with it. 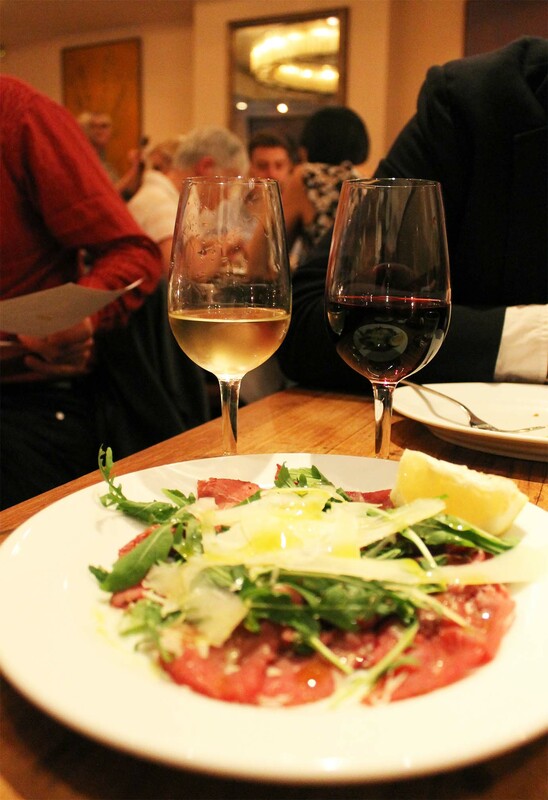 The Cured beef carpaccio with rocket and shaved parmesan was another highlight, thanks to the deep savoury notes and the melt-in-the-mouth quality of the beef. A definite must-order for meat lovers this one! Artichoke alla giudia (deep-fried) was both wonderfully beautiful (doesn’t it look just like a camelia flower? So Chanel!) and incredibly more-ish. And don’t even get me started on the Buffalo mozzarella bocconcini. Yes, that IS indeed mini balls of mozzarella that have bean crumbed and then deep-fried. Bottomline is: order those. But I doubt I really needed to tell you that, did I? I must admit I was a little scared of trying the Fried Lamb Chop with peaches and rosemary but I really shouldn’t have been. Clearly, the guys at Bocca di Luppo know what they’re doing if they can pull off this kind of weird combination. On the other end of the risky choice spectrum was the Tagliatelle with Duck Ragù. Basically the DNA of Italian cuisine and an absolute must-order. But do make sure you keep a bit of room for dessert, because they’re truly spectacular. We skipped the Gelupo ice cream (tough job!) but the Bonet chocolate, coffee, amaretti, caramel and rum pudding was well worth the sacrifice. Indulgence on a plate is what it should be called, I’m telling you. Especially when it comes with Caffe alla nocciola (with egg yolk and hazelnut). A match made in heaven and one I truly encourage you to try. Together with literally EVERYTHING ELSE on the menu.